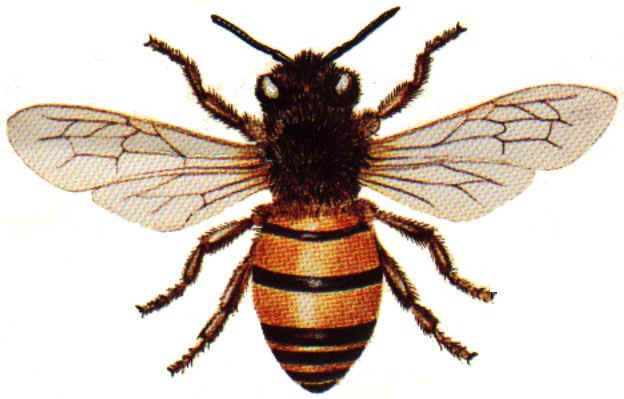 The honeybee, one of the world’s major pollinators. Admirably, about one-third of all our produce comes from the bees’ ability to effectively pollinate plants. At times it seems so simple, the way the Honey Bee flies, from hive, to plant, and back again to the hive. However, the science behind Bee flight is actually quite complex. One aspect of honeybee flight that seems the most peculiar would be the speed at which it beats its wings. According to research, the smaller an animal is, the faster it flaps its wings. In the case of the honeybee (a relatively large insect), it flaps its wings at a rate of about 230 beats per second, and over a short arc of about 90 degrees. In comparison, the much smaller fruit fly (80 times smaller to be exact) flaps its wings at a rate of only 200 beats per second. Even more interesting, is the way in which honeybees generate more power (usually in cases where they’re carrying nectar). In cases like these, honeybees increase the arc in which they flap their wings around. One issue with this process is that it would be much more aerodynamically efficient if the honeybees also regulated the speed in which they flap their wings. However, due to the unique way they honeybee’s flight mechanism has evolved, the honeybee must generate a constant high rate of wing speed or else the specific muscle used for flight cannot generate enough power to sustain it. It is interesting that the honeybee is specialized so that its speed is much higher than “ordinary” insects. Does this have to do with its pollinating work? You should let us know the sources you used!